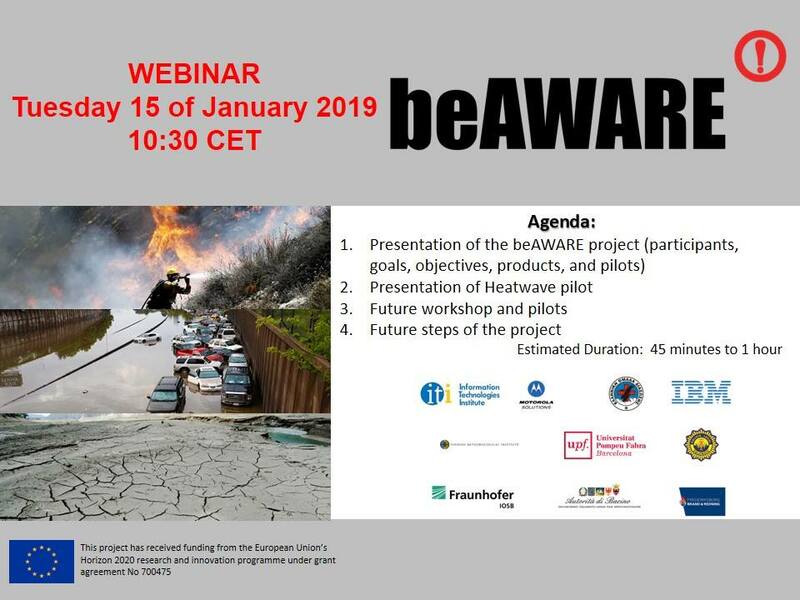 Home › News › Tommorrow is beAWARE’s Webinar! 📢📢📢 Tomorrow is our Webinar…!!! !📆Tuesday 15 of January 2019, 10:30 CET. CERTH Policía Local Valencia Universitat Pompeu Fabra – Barcelona FMI Beta Fraunhofer IOSB ΕΛΛΗΝΙΚΗ ΟΜΑΔΑ ΔΙΑΣΩΣΗΣ-HELLENIC RESCUE TEAM מוטורולה סולושנס Motorola Solutions Israel IBM Israel @frederiksborgbrandogredning.